Akron Legal News reports (January 2013) that fantasy football is a game of skill. The Brazilian Ministry of Sport officially endorsed poker as a game of skill. It is understood that an agreement was made in with the poker advocacy group the Brazilian Conferederação Texas Hold’em (CBTH), the governing body of poker in Brazil. Poker is now listed on the Ministry website as a sport, noting that it requires a player to develop a broad mix of skills to succeed. “Poker is a competitive practice in which the participant requires intelligence, ability and intellectual and behavioral skills to succeed,” it states on the Ministry site. Read more about Poker in Brazil. A German court recently determined that Poker is a game of skill (November, 2012). This is based on the argument of professional poker player Eduard Scharf. Read more about this decision. While the game of poker may be confusing in the beginning, the game grows more enjoyable as you acquire new skills and strategies. If you are interested in learning more about the game, here’s a brief introduction to poker for beginners. Read the full interview from Covers. 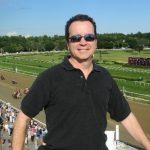 Is Horse Racing Handicapping a game of skill? Ask the Indian Supreme Court.